Perhaps the most controversial statement to come out of Nigeria in recent weeks is Sanusi Lamido Sanusi’s linkage of the mass killings of innocent citizens in Northern Nigeria by the Boko Haram sect to the nature of distribution of oil revenues in Nigeria. A statement like this coming from the Governor of the Central Bank of Nigeria (CBN) and a prominent personality from the North should not be taken lightly. Since the statement, as if on cue, a spread sheet showing the distribution of revenues among different states in Nigeria has suddenly surfaced on the internet in an apparent bid to show the uneven distribution of crude oil earnings in Nigeria. 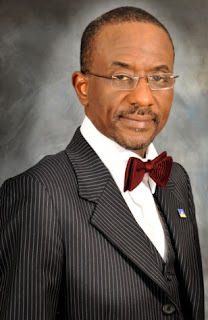 Both statements from Sanusi are baffling especially when it is considered that they are being made by the governor of Nigeria’s Central Bank. Sanusi’s assertion that there is “clearly a direct link between the uneven nature of wealth distribution and rising level of violence in Northern Nigeria lacks merit. Elementary statistics teaches us that correlation does not necessarily mean causality except Sanusi is in possession of some proven work that establishes this link. If the above statement is to be valid, then Sanusi must be able to prove not only that the incidence of violence in Northern Nigeria has gone up as the resource distribution to the South South Nigeria went up. However, we all know that there is no “rising” level of violence in Northern Nigeria. What we have in Northern Nigeria at present is just “another wave” of violence. History of violence in Northern Nigeria is as old as when Nigeria became an Independent state. It is violence in Northern Nigeria that plunged Nigeria into a civil war in 1966. Since the end of the civil war, there have been various incidences of violent riots in Northern Nigeria that have claimed the lives of thousands of Nigerians over the years. The statement by the CBN governor seems to suggest that violence is a stranger to Northern Nigeria. That certainly is not true. Also the nature of violence in Northern Nigeria has never been poverty induced. It may always have been fuelled by the level of poverty but violence has always been religion induced. The victims in most cases of violence in Northern Nigeria has been primarily because they profess another form of religion and not because they were better off economically than their neighbours. It is also sad that the CBN governor’s statement only reinforces the revenue sharing mentality that has been the bane of economic development in Nigeria over the years. The CBN governor seems not to see anything wrong in state’s running to Abuja every month to collect monthly allocations to share in their states without making efforts to develop the productive economic base of their states. It is not the money gotten from Abuja that will develop the states; it is the restructuring of the economic base of each of the state that will develop them. As the CBN governor knows, the billions received by the South South have not necessarily changed the poverty profile of these states. As can be seen in the recently released poverty figures by Nigeria’s National Bureau of Statistics (NBS), the gap in the incidence of poverty between the money rich South South and the money poor North is not that wide. For example, the NBS figures shows that the number of people living below a dollar a day in South South stood at about 56.1 percent of the population of the South South. This is only slightly lower than that of the North Central where 59.7 percent of the population live on less than a dollar a day. The incidence of poverty is higher in the North East where 69 percent of the population live on less than a dollar a day while 70 percent of the population in North West live on less than a dollar a day. However, the NBS figures does not factor into its calculations that fact that a South South resident who lives on less than a dollar a day has a higher health bill than his or her Northern counterpart and most likely shorter life expectancy due to the environmental degradation suffered from crude oil exploration which is the source of 90 per cent of the distributable revenues in the Federation that the CBN governor considers unfair. The implication is that the South South resident living on less than a dollar a day is even poorer than his Northern counterpart who does not have to face the peculiar environmental and health challenges faced by its Southern counterpart. The CBN governor suggests that “It is necessary to focus funds on regenerating other regions if Nigeria “wants to secure long term stability.” Where are these funds going to come from? Is the governor suggesting that the Federal Government take money from other regions of Nigeria and use it to develop the North? Is he asking for revenues to be distributed on the basis of regional development needs? Or is he saying that since the South South “has too much money (based on his assumption) than they need”, this money should be taken from the South South and redistributed to Northern Nigeria? This suggestion completely ignores the fact that 90 percent of the revenues come from just one region at significant cost to their livelihood and environment. From a CBN governor, one would have thought the suggestion should have been that States look critically at how to mobilize internally generated revenues like Lagos has done successfully. Mobilizing internally generated revenues is what drives development, not sharing revenues at the centre. Years of revenue sharing has only increased poverty and income inequality as the latest NBS poverty figures show. The lack of merit in Sanusi’s argument linking the uneven distribution of Nigeria’s revenues and the current violence in Northern Nigeria becomes even more obvious when distribution of revenues among states is examined more critically. The gross revenue distribution among State’s from 2008 to 2010 for example shows that Borno, the hot bed of Boko Haram activities got more revenues from the Federation account than Edo State in the South South part of Nigeria even when the 13 percent derivation revenues were added to Edo State’s revenue from the Federation. Borno State has had more revenues within the same period than each of the five states in South Eastern Nigeria. Adamawa State, which has also had high incidence of Boko Haram activity has one of highest revenues per population in the country only lower than the South South States benefiting from 13 percent oil derivation. Adamawa has higher revenue per population than any of the South Eastern states and any of South Western States. It is also interesting that Bauchi, another hot bed of Boko Haram activity has higher revenue per population than several States in Southern Nigeria including Ogun State, Oyo State, Lagos State, Anambra, and Enugu among others. The residents of these Southern states have not taken to violence to resolve the low amount of revenues gotten from the Federation account; rather their governments have put in place strategies to increase internally generated revenues to support the dwindling revenues from the Federation account. The CBN governor position sounds more sentimental than fact based. A man in his position should not make statements that have the tendency to incite the current unjustified killing of innocent Nigerians.